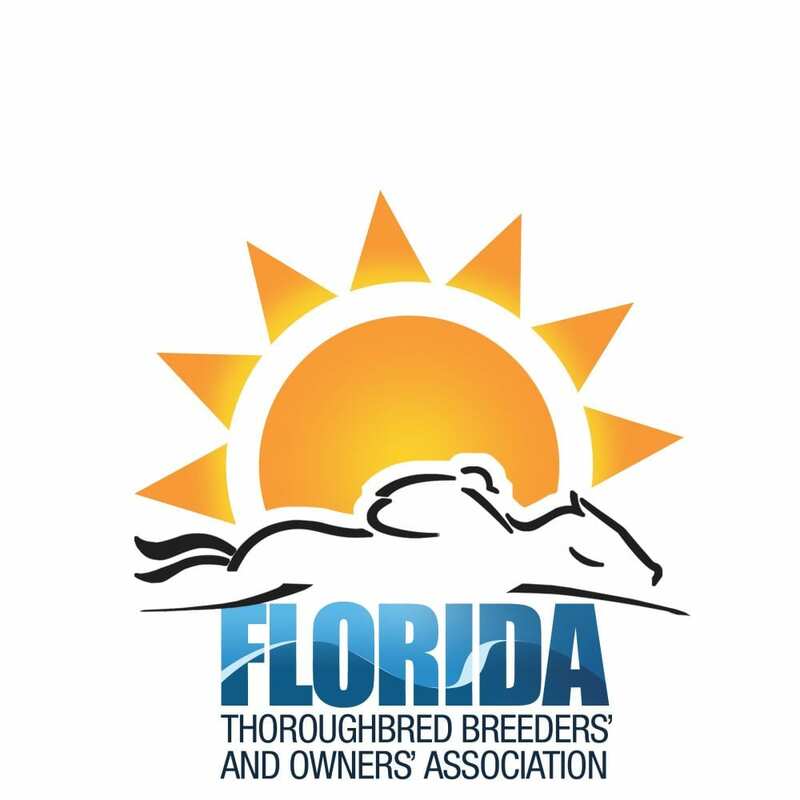 T. Paul Bulmahn, Nick de Meric, both of Ocala, Fla.; and Laurine Fuller-Vargas of Morriston, Fla., have been named to the Florida Thoroughbred Breeders' and Owners' Association board of directors while Richard Kent of Ocala remains on the board for his second term. After a one-year absence as a voting member on the board due to term limits, past president George Russell of Reddick, Fla., also returns as an officio director, as announced at the FTBOA annual meeting Thursday. Each of them will serve three-year terms that will run through 2021. Leaving the board because of term limits outlined in the FTBOA by-laws were Fred Brei of Reddick and Joe O'Farrell III of Ocala. Both were commended for their strong commitment and service to the Association and industry. Brent Fernung was also re-elected as the president of the Association at the board meeting that followed. He said he was grateful to return as president and welcomed the three new board members. “I am very happy and honored to be re-elected president,” Fernung said. “We are also proud to welcome to the board Mr. Bulmahn, Mr. de Meric, and Ms. Fuller-Vargas and welcome back Mr. Kent and Mr. Russell. The board also named the executive committee for 2018-19 with Fernung as president while Phil Matthews, DVM was named first vice president and Greg Wheeler was named second vice president. George Russell will serve as treasurer and George Isaacs as secretary. Fernung and his wife, Crystal, own and operate Journeyman Stud, which was home to the late Wildcat Heir, Florida's leading sire. Journeyman Stud now stands Exclusive Quality, Fury Kapcori, Gentlemen's Bet, Khozan, Songandaprayer and Winslow Homer. Fernung began his career at Lasater Farm during its heyday in the late 1970s and was there through 1984. Fernung also served as farm manager at Franks Farm/Southland Division and was the general manager at Cloverleaf. The Fernungs established Journeyman Bloodstock in 1989. Fernung also serves on the Ocala Breeders' Sales Company board and is currently chairman of the FTBOA governance committee. An entrepreneur in various industries, Paul Bulmahn grew up with a love of horses. He opened GoldMark Farm in Ocala in 2006, a 2,600 acre commercial thoroughbred training center with a three-quarter mile track, barns designed to stay cool, an equine saltwater spa, and Equivibe vibration plates. His homebred, Soutache, won two legs of the 2017 Florida Sire Stakes and top graduates of breaking, training, and rehabilitation include Cross Traffic, Mylute, Shackleford, Dullahan, Karlovy Vary, Pluck, Gypsey's Warning, Mr. Sidney, Backtalk, Elusive Lady, Timber Reserve, It's Tea Time, Silver Max, and Private Zone. de Meric grew up in England, showing ponies as a youngster and graduating to three-day eventing and point to pointing when he turned sixteen. After graduating from Bradfield College, he worked as a journalist in London for the Field Magazine, before studying Rural Estate Management at Cirencester Agricultural College in Gloucestershire. After this he did stints with English trainers R.C. Sturdy, Brian Swift and Roger Stack before moving to Australia and working for the legendary trainer Tommy Smith. Later he became interested by North American racing and sales, and in the early 1980s worked for Clay Camp, Lee Eaton and Fred Seitz before settling in Ocala by way of Louisiana, where he met his future wife, Jaqui. He and Jaqui rode for a number of farms in the Ocala area before marrying in 1983. Nick and Jaqui had their first 2-year-old consignment that year and the fledgling business quickly grew into a major 2-year-old training operation. Their graduates include You and I, Chaposa Springs, Smokin' Frolic, Wallenda, Forty One Carats, Ask The Moon, Capo Bastone, Currency Swap, Materiality, Annals of Time, War Story, Practical Joke, and Separationofpowers. Nick has also served on the board of OBS since 2001. Fuller-Vargas has devoted her entire life to thoroughbreds and the racing industry. She's a third generation horsemen and as a child, spent every moment possible in the barn or at the racetrack. She learned everything from picking feet, walking hots and rolling bandages to rehabbing injured horses and galloping racehorses. At age 12, Fuller-Vargas became Massachusetts' youngest licensed owner and in 2008 her dreams came true when she saddled Ask Queenie, the richest Massachusetts-bred in history, to her first win as a licensed trainer. From that point on there was no looking back… she knew she would never go a day without horses in her life. Laurine moved to her family farm in Florida in 2006. Her duties included all aspects of the industry including breaking/training babies, sales prep, breeding mares, foaling, race training, racing horses year round in Florida and aftercare of retired racehorses. Today, after many years of devotion and leadership, her grandfather's legacy, the 65 acre Cedar Lock Farm is still a successful and thriving farm home to more than 25 thoroughbreds. It is also home to the local beloved Run for the Ribbons. In 2014, she founded Run for the Ribbons Inc., a 501c3 program dedicated to improving the lives of OTTBs after their racing careers. Laurine truly cares about the horses and the integrity of the industry and feels she has a lot to offer the FTBOA & its members. She lives in Morriston with her husband Jorge and their three children. Kent moved to Ocala in 1990 to become general manager of Bridlewood Farm. During his tenture, Bridlewood Farm bred and raced Grade 1 millionaire Jolie's Halo and purchased and sold Grade 1 winner Serena's Song. In 1999, he became president and chief operating officer of Plumley Farms which in partnership with Ocala Stud, stood Trippi, Sweetsouthernsaint and High Cotton. Also, Eclipse award-winning Florida champion and Breeders' Cup winner Dubai Majesty was bred, raced and sold during Kent's tenure at Plumley Farms. Other returning board members include Barry Berkelhammer, Gilbert Campbell, Valerie Dailey, Bobby Jones, Milan Kosanovich and Dr. Fred Yutani. This entry was posted in People and tagged brent fernung, Florida Thoroughbred Breeders' and Owners' Association, FTBOA, FTBOA election, Laurine Fuller-Vargas, nick de meric, t. paul bulmahn by Press Release. Bookmark the permalink.